Jessica the Jazz Fairy is desperate to find her dance ribbon, as no one can jazz-dance properly without it! 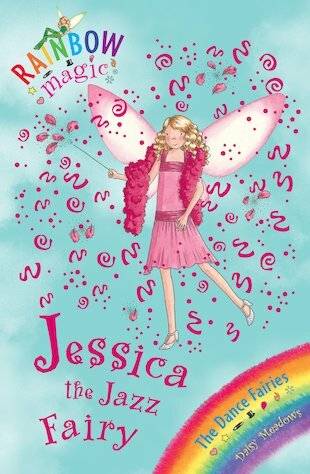 Rachel and Kirsty know that the ribbon is somewhere nearby, but can they help their fairy friend to track it down? I liked this book because it had my name on the front cover. They are looking for Jessica’s magic jazz ribbon. Jessica makes sure everyone preforms jazz well. It is pretty and it is my sister’s name.It was beautiful.